Two newer technologies are developing that may affect broadcasters, 5G cellular delivery and artificial intelligence (AI). Some experts believe that 5G may develop into a competent OTA program delivery system. 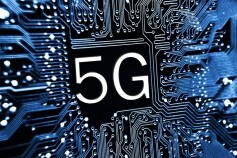 Others see 5G as merely another step in boosting cellular delivery speeds. Either way, broadcasters need to understand its capabilities. Another, much talked about, technology is artificial intelligence (AI). While previously limited to research and government work, AI may offer new tools to assist in customized program creation, improving workflow and even tailor programs delivered to individual viewers. To help readers become more familiar with the benefits 5G and AI may offer, The Broadcast Bridge offers a continuing set of timely and focused tutorials on both of these technologies. Read more below. His report shows that of all the newer delivery technologies, 5G is likely to offer the strongest competition to the world’s free, over-the-air (OTA) broadcast model. Planned 5G services may offer multiple content streams, 4K, support for new video standards, mobile reception and on multiple devices. Let’s see how the new ATSC 3.0 standard may stack up against this new competitor. Artificial Intelligence (AI) is taking center stage in many applications. It already has some history in data analysis. But this year, AI is making gains in the creation of media, especially custom-tailored subscription channels. Ooyala recently published a report, "A.I. to the Rescue," on the advancing field of artificial intelligence being used in several media-related areas. While those of us over 40 may think of AI as the computer HAL in the movie 2001, the technology is proving to be as easily applied to content production and delivery as controlling a complete space station. NAB 2018 is coming! Save $100! Want to attend the Broadcast Engineering/IT conference at a $100 discount? Just use The Broadcast Bridge discount code EP18 when registering at the above link. This discount also applies to Conference Packages when using this link. Let The Broadcast Bridge help you prepare for a busy convention. Special pre-show coverage is already live on our website. Don’t rely on out-of-date print newspapers for new product news. Get your daily dose of new products, technology developments, company show announcements and other pre-NAB show information right here. If you are not already registered, sign up for a free subscription to receive a daily, weekly or monthly custom email filled with content and technology that you select. Don’t wait for an out-of-date, month’s-old print version of “breaking events,” get your free membership to The Broadcast Bridge today. With such a wealth of information generated daily, it is important to not get left behind.